We got here about 10:30 and after we had cut a load of brush down we started fishing at midday. On the left rod at about 1pm I had a 16lb 5oz and immediately after I cast it out I had another at 12lb 7oz. Right hand rod at about 2pm 22lb10oz. All on 10mm pineapple so far. 14lb 8oz at about 4pm About 6pm I has two fish on at the same time. Good job my buddy Matt was with me. First one 20lb 8oz second one 23lb 15oz. I'll add some more pics tomorrow. Not everyday you get 2 PB's, well done Charles way to go. Charles with his personal best Buffalo 43lb 3oz. Charles with his personal best Common Carp. John getting some water through it's gills before letting it swim back into the depths of Town Lake. Charles with a PB Common. It was great meeting you and hope we can catch some more carp soon. Brian with his personal best Common Carp, this was an exceptional nbso online casino reviews day and lots of fun with many PB's being broken. Thanks Brian, hope to see you again soon. 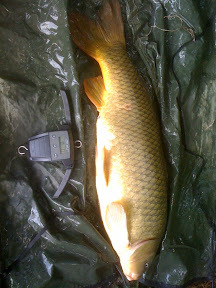 My personal best fish out of Town Lake which is obviously my PB Grass Carp as well. I bet Grass Carp will soon be the biggest fish in Town Lake. John's PB Buffalo 29lb 15teeeeeeen oz, good one mate, it was such a fun couple of days. English eccentricity lol, and to think most Americans call Buffalo trash fish. We love your fish America! Tough work with a 50" net when it's windy. 24lb 5oz Common came in on the last rod left out while packing up. Not a scale missing an absolutely perfect fish! It was easier getting a photo of this monster while it was on the carp mat, only problem being this fish was longer than the mat. I was thinking about getting one of those new goliath Nash Care (Mats? ).